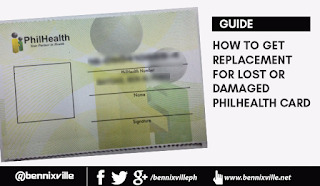 In the event that you had accidentally lost or damaged your Philhealth ID here's our guide on how you can get repacement card for free. 1. 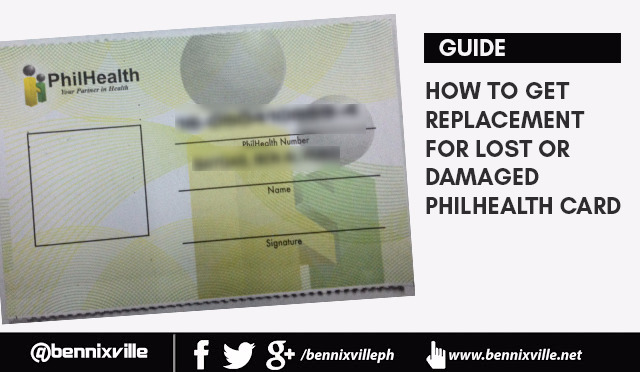 Go to the nearest Philhealth Regional Office near you. Bring your old ID or make sure you still remember your Philhealth Number. 2. In the entrance, ask the guard where to get priority number ( they will usually refer you to Philhealth Assistance and Complaint Desk (PACD) window). 3. Get request from PACD and fill it out. 4. Submit request from to PACD and ask for priority number. 5. Proceed to Express counter and wait your number to be called. In just 10 to 45 minutes of waiting (depende sa dami ng tao), the counter will release your new Philhealth ID Card without any charge. Please note, for this new card to be valid you need to add 1x1 photo and affix your signature before having it laminated.